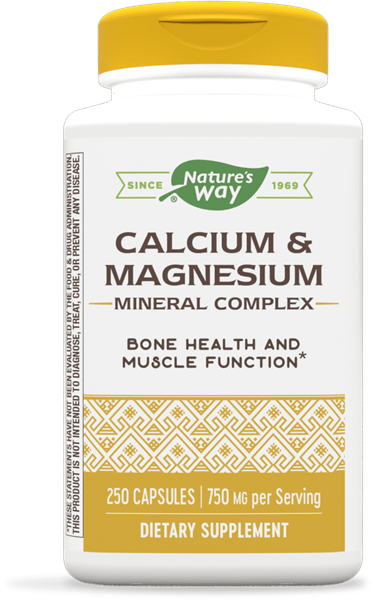 Calcium Magnesium / 250 Caps - Nature's Way®. Calcium and Magnesium include an advanced complex for optimal absorption. Take 3 capsules twice daily, preferably with food. If pregnant, nursing, or taking any medications, consult a healthcare professional before use.